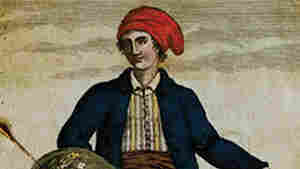 The Discovery of Jeanne Baret NPR coverage of The Discovery of Jeanne Baret: A Story of Science, the High Seas, and the First Woman to Circumnavigate the Globe by Glynis Ridley. News, author interviews, critics' picks and more. In a deeply researched and engagingly written narrative of science, adventure, love, and an unprecedented voyage of discovery, Ridley reveals the true story of Jeanne Baret, the first woman to circumnavigate the globe. January 24, 2012  For more than two years she traveled on a French naval vessel with linen bandages wrapped tightly around her upper body to flatten her chest. It was a small ship with 300 men who knew her as Jean. But she wasn't Jean. She was Jeanne. Then one day, they found her out. 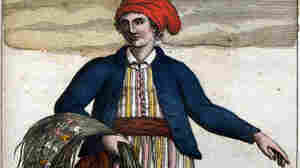 December 26, 2010  Jeanne Baret didn't set out to be the first woman to circumnavigate the globe when she stepped aboard the Etoile in 1766. Disguised as a man, the French botanist was looking for plants.